The 2013 season brought new challenges and opportunities to Miss Daisy. 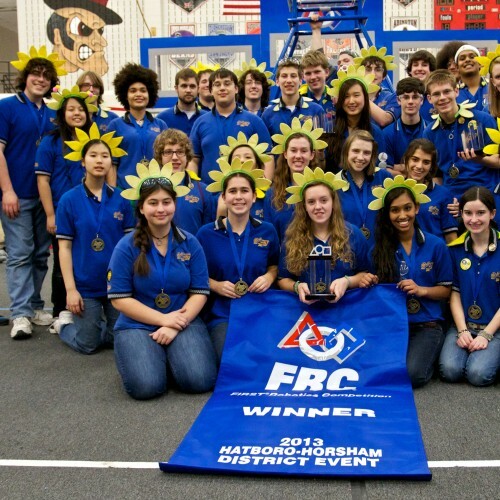 The team reached out to new mentors and sponsors to build a strong robot for ULTIMATE ASCENT™. We fought hard for wins at two MAR district events, and traveled to the Las Vegas Regional to play with and against great teams we had not yet faced. In St. Louis, we made it to quarter-finals on the Newton field, and cheered on our MAR friends on Einstein. We were also very successful in off-season competitions. As always, we played with the spirit of FIRST® and demonstrated gracious professionalism in every game. In this year’s game, Ultimate Ascent℠, robots attempt to shoot frisbees into three raised goals, as well as climb pyramids that are placed in the middle of the field. The top goal is worth three points; the middle, two; the low, one. On a 27 by 52 foot field, two alliances of three robots compete to score as many frisbees as they can. At the beginning of the match, there is a 15 second autonomous mode where robots can independently score frisbees, which can score bonus points. 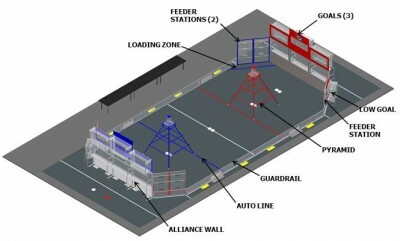 During the remaining two minutes, robots score the allotted points by shooting frisbees through the raised goals. 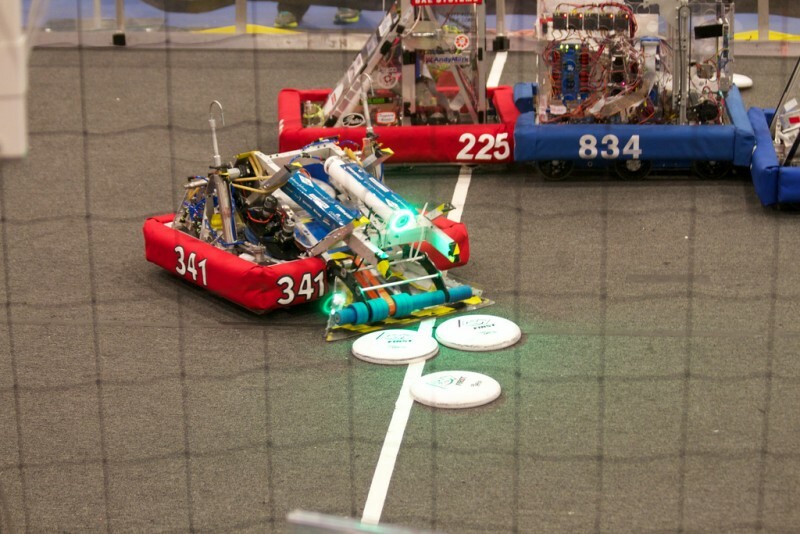 At the end of the match, robots can shoot colored frisbees into the goals on top of the pyramid, earning 5 points for each. The robots can also climb up the pyramids by hanging onto the bars. These pyramids have three levels, granting 10 points for each level that the robot climbs.